If you need a confidential STD test, then STDCheck.com should be at the top of your list. This is an in-depth review of one of the biggest and best-known anonymous STD testing services, STDCheck.com. STDCheck provides confidential and convenient testing for 10 different types of sexually transmitted infections. They also offer FDA-approved HIV RNA early detection testing. Keep reading to learn more about STDCheck.com’s services, pricing, customer feedback and comparison with other anonymous STD test providers. If you’d like to learn about all of the best STD tests sold online and how they compare, check our our in-depth buying guide to other online STD Tests. STDCheck.com is one of the most trusted providers of confidential STD tests sold online. They’ve developed a fast and super-convenient process to learn about your sexual health status: you place an order online, visit a lab near you (anonymously) and get your results securely online. In their six years of operation, the company has helped more than two million people get tested without having to experience an awkward talk with a doctor. They have the tightest confidential testing policies of any provider and take every measure to ensure your identity and medical information is kept secure throughout the process. STDCheck also has the largest number of walk-in testing centers among online STD test providers, making their service the most convenient. Whether you want an update on your sexual health or you are concerned about recent exposure, STDCheck.com has you covered. STDCheck.com stands out for their obsession with customer privacy. From the time you place an order to when you receive your test results, you are guaranteed complete anonymity. No one involved in the process will know you took the test. When you visit a local test lab to get your sample taken, STDCheck.com gives you a unique code to identify yourself instead of using your name. They also don’t accept insurance to keep your test results from your medical record, which can be accessed by more people and organizations such as your health insurer. STDCheck is one of the few STD testing services that offer FDA-approved HIV RNA early detection testing. This test can detect the presence of HIV infection just 9-11 days after exposure. You can even anonymously notify your current and past sexual partners to get tested. You to do this anonymously using their phone number or email. You just need to provide the number or email of the recipient at notifying your sexual partners. The following message will be sent. A sexual partner has recommended you take tested for STDs. Please visit STDcheck.com/notify and get tested as soon as possible. If you don’t want to confront your current or former partner to get tested, this is a great way to make sure they are protected too. By the way: the notification tool is free. When it comes to age, most services require that customers be at least 18 years old. STDCheck accepts 16 and 17-year-old minors and doesn’t require parental consent. You can only order a test on their official website, STDCheck.com. You can also place an order via phone. Their website is well secured, so you can be sure that whatever information you provide is safe. Your payment and payment details are also secure. But before you get to the payment bit, you need to choose the right package. You can choose a bundled package (see packages further below) or choose individual tests. There is also an HIV RNA early detection test that you can order as part of a package or on its own. If you are unsure which kit or package is right for your situation, call STDCheck’s customer support. I’m sure they can help you make the best choice. You can also take a simple questionnaire at STDCheck.com that will recommend the best test for you, based on your symptoms and sexual history. Once you have selected a package or individual tests, you’ll make a payment. STDCheck accepts most payment methods. But they do not accept insurance. When your order is confirmed, you will be given a unique identifying code and a lab order form and directed to a certified lab near your location. STDCheck.com has over 4,500 testing centers, so it’s easy to find one without having to walk or drive far. At the lab, it only takes 10 minutes or less to provide your sample. You don’t need to give your name or fill out any extra paperwork. After that, you just wait for the test results which will arrive in 1-2 days. You will receive an email notification with a link to your secure online account at STDCheck.com where you can view your STD test results. If you have a positive test, the service provides an opportunity to consult with a doctor regarding the next course of action. In some cases, the doctor can also write you a prescription. Here’s why we selected STDCheck.com as one of the best anonymous STD testing services. Their commitment to privacy. STDCheck is the best choice if privacy is your major concern. Apart from when you make payment, there is no other point in the testing process where you need to provide your name or any other identifying details. Best value. STDCheck is not the cheapest STD testing service, but when you consider the range of STD tests offered, their huge network of locations, the level of privacy and their unique features – their prices are a great deal. Convenience. STDCheck has more than 4,500 labs. To find whether there is a lab near you, enter your zip code at STDCheck.com. Customer service. Reading online STDCheck.com reviews, it’s clear that customers love the service. Many praises the excellent customer service and support they received. There are three test options offered by STDCheck. These include two bundled packages and individual tests. Here are the individual tests and prices. 10-test panel – This is the doctor-recommended package. It tests for the most common STDs in the United States. It’s ideal if you are getting an STD test for the first time or you want an update on your sexual health. This package costs $198. 10-test panel + HIV RNA Early Detection – If you are worried you were exposed to an STD recently, I recommend this package which includes HIV RNA early detection. The HIV test can detect infection in its early stages. STDCheck.com uses the latest technology and standards to ensure the highest accuracy for each test their conduct. All their tests are FDA-approved, which should give you confidence in their quality and accuracy. Furthermore, the tests are performed in CLIA-certified labs. CLIA stands for Clinical Laboratory Improvement Amendments, a set of federal standards that regulate laboratory testing and require clinical laboratories to be certificated by their state as well as the Center for Medicare and Medicaid Services (CMS) before they can accept human samples for diagnostic testing. The tests are carried out by medical professionals, under strict clinical standards. But as with any medical test, there is always a risk of getting a false positive or negative. That’s why the CDC and STDCheck recommend that you get retested in 3-6 months if you get an initial negative test. Remember you can also consult with a doctor if you get a positive test. If you think it’s false, your doctor will advise you whether to get re-tested. STDCheck.com has a quick turnaround of just 1-2 days. Many customers get their results in 24 hours. When the results are in, you will receive an email with a link to your secure online account where you can view your results. If you think your results have been delayed, call customer support to receive a status update. STDCheck.com is the best service when it comes to confidentiality and anonymity. They use a secure website to receive test orders and payments and provide test results. Once you place an order, you are given a code to identify yourself at the lab rather than using your name. The company also adheres to federal and state rules regarding the safety and privacy of your medical information, including the HIPAA rule. That means no organization or person without authorization can access your personal or medical information. Because of safety worries, they don’t send you the results via email, postal mail or phone. You can only view them in a secure online account that only you can access. STDCheck provides doctor consultation via phone at no charge if you receive a positive test result. You can ask the doctor to explain your test results and ask any other questions you may have about the test. At their discretion and depending on state law, the doctor may also write a prescription for certain STDs. Remember that the consultation is entirely optional. You can decide to talk to your own doctor, instead. STDCheck is a walk-in STD testing service, meaning you have to go into a lab to get your sample taken. They don’t provide a home sample collection option. At the lab, the staff will collect a urine or blood sample based on what STD test or tests you are getting. None of the tests require that you fast or carry out any other kind of preparation. For tests that need a urine sample, it is recommended that you do not urinate for at least an hour before your lab visit. STDCheck.com provides a variety of payment options. Insurance is not one of them. They accept major debit and credit cards, money orders, PayPal, e-check and HSA & FSA cards. Visit their website to find out more about each payment option. They also have a ‘pay later’ option. You order the test without paying. You only pay when the results are in. This option comes in handy if you want to order a quick test and you don’t have access to any money at that moment. STDCheck.com guarantees your privacy and anonymity. In addition to following state and federal laws regarding the handling and transportation of your medical and personal data, they employ additional measures to protect your privacy. Does STDCheck accept health insurance? No, STDCheck does not accept insurance as a form of payment. 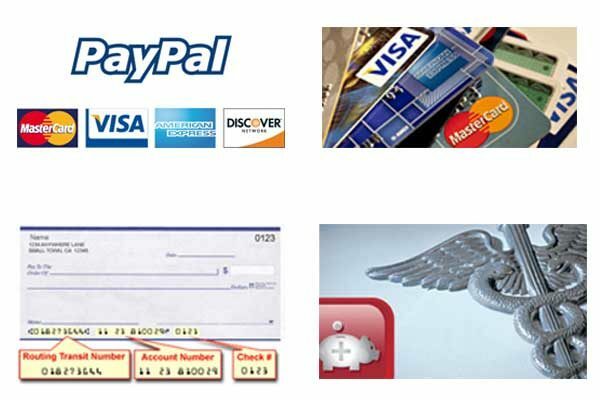 But they have several other payment options including credit cards, PayPal and FSA/HSA cards. Will STDCheck email or mail me my results? Neither. Because of confidentiality concerns and to adhere to HIPAA rules, you can only view your test results in your secure online account at STDCheck.com. Can I access my results on my smartphone? Yes, you can. The results are displayed in a mobile-friendly format. You still need your email and password to view the results. What’s the minimum STD testing age? STDCheck allows minors of 16 and 17 years to order an STD test without parental consent. There are lots of positive STDCheck com reviews. They enjoy an A+ rating with BBB, a 91% excellent rating on Trustpilot and a 9.8/10 rating on their website. Many customers praise the speed and convenience of the STD testing service. Many also love the confidentiality they enjoy with STDCheck. In our check of online reviews, the only complaints we could find are that the results sometimes take more than the 1-2 days advertised. But there were very few cases of this. STDCheck.com’s biggest selling point is the privacy they provide, followed by the convenience of more nearby testing labs. So if you want to maintain complete anonymity, I strongly recommend STDCheck. 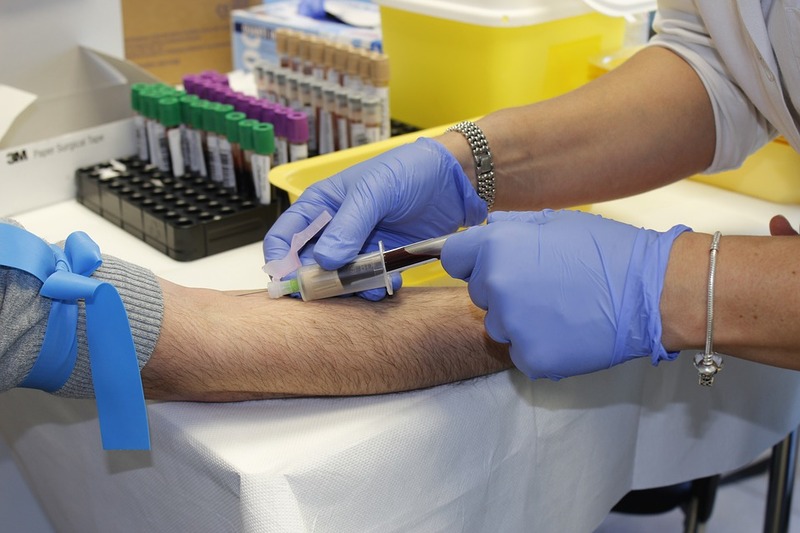 You’ll also enjoy speedy results and customer service that is with you every step of the testing process and even after with a free medical consultation if you test positive.